Safeguarding should be a central concern for any sports organisation working with children or young people. This significant new study examines the development, implementation and impact of the International Safeguards for Children in Sport; a set of guidelines drawn up by a working group of international organisations committed to child protection which lays out the measures that need to be taken to ensure children are kept safe from harm. Including critical perspectives and in-depth real-life case studies, this book looks beyond perpetrator, victim and abuse to focus on the development of a systematic safeguarding culture. The first study to adopt a global perspective on safeguarding in sport, it draws on the insights of researchers and practitioners to discuss best practise for child welfare, organisational reform, policy implementation and directions for future research. 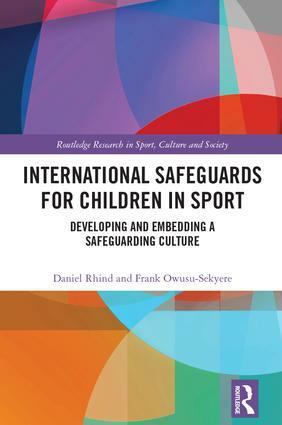 International Safeguards for Children in Sport: Developing and Embedding a Safeguarding Culture is important reading for all those working directly with children through the provision of sport in schools and communities, as well as for students and researchers of the sociology of sport.